I am among March a very creative month. Calvinball has that effect on me. That and I'm ready for spring, but it's been too rainy to do much outside of the house. So, on to today's project. I saw this great sketch at ScrapMuch? 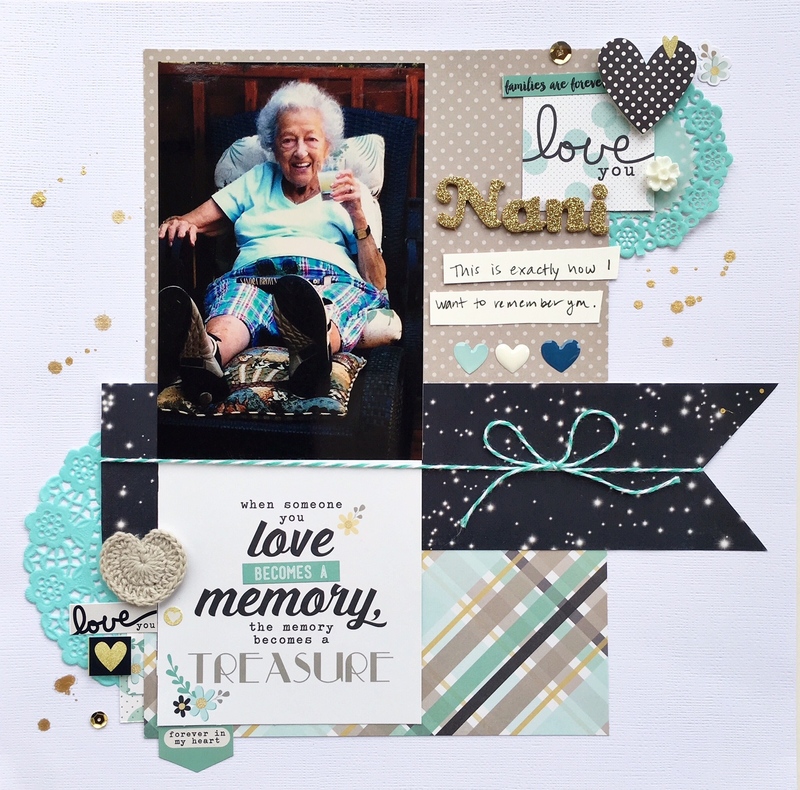 Combine that with a moldboard challenge at Scrapbook Generation, and the desire to use some brand new product and this is the result. I started to use the sketch as it was designed. At the last minute, I changed the photo, which led me to both flip, and mirror image it. I adjusted the title and journaling placement, and am really happy with the way it came out. I lost my Nani a month ago. I feel like I need to do pages about her right now. This is the opposite of how I felt when my Grandfather passed away 5 years ago. I couldn't even look at photos of him without crying. Nani enjoyed life all the way to the end. This photo couldn't exemplify that any better. So yes, this is how I want to remember her. Thanks for stopping by my creative view today. There will be lots going on here this week, so please come back again. It's a beautiful page, Devra! What a lovely colour combination! Your layout is amazing...great documentation of a fun lady! Thanks for playing along with ScrapMuch?! This is so pretty, Loving the pops of gold. I can't wait to play with this collection! Thanks for joining us at ScrapMuch! PS your Nani looked like quite a fabulous lady! Ohh what a stunning page! I especially love the papers you created and all the embellishments. Well done! Thank you for playing along with us over at Scrapmuch! What an absolutely beautiful page of a beautiful lady. It's wonderful to see that Simple Stories collection used as I have been curious to see it from someone not on their design team. Beautiful. I hope this layout reminds you of the beautiful memories and makes you smile. :) Thank you for sharing with us at ScrapMuch?